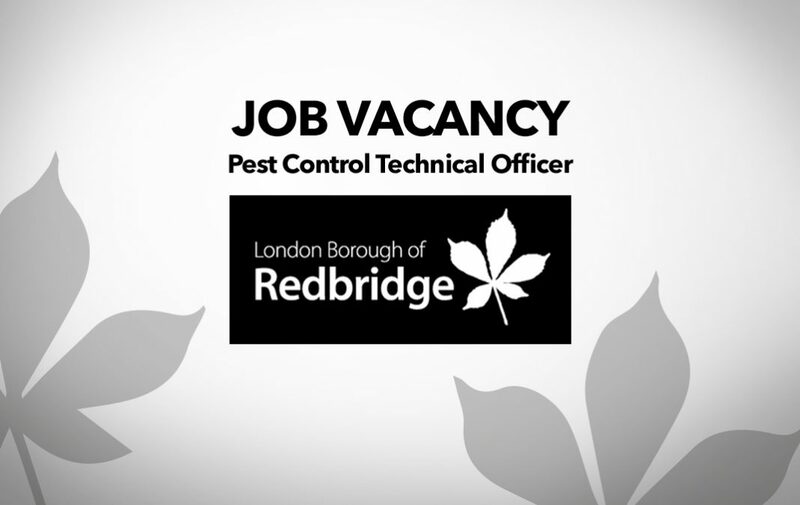 An exciting opportunity has arisen for a qualified and experienced Pest Control Officer to join the London Borough of Redbridge Pest Control Service. The successful candidate will be expected to undertake site inspections and complete appropriate treatments to identify and deal with a wide range of pest problems and provide advice to clients on preventing further problems. Redbridge Pest Control Service has quality at its heart and this should be reflected in your work and dealing with people in a sensitive and professional manner. Experience in working with members of the public and commercial customers is essential. As our commercial contracts continue to increase you will be required to call on business to promote services and secure new contracts. You must hold an RSPH Level 2 Certificate in Pest Control, a BPCA Level 2 Certificate in Pest Management or an equivalent qualification. You must also have up to date knowledge of Pest Control legislation, work practices and recent developments. The role requires the candidate to use various smart phones and IT devices. You will be provided with a Council van to travel around the Borough and be required to complete an in-house Driver Induction Assessment. Therefore a full UK driving licence is required. You will have the ability to undertake heavy manual handling. Error: Error validating access token: Session has expired on Sunday, 17-Feb-19 03:23:39 PST. The current time is Thursday, 18-Apr-19 21:30:36 PDT.